Our company has been providing local homeowners with various garage door related services for over a decade now. Over time, we've worked with all sorts of brands, some of which no longer exist, some are still going strong. Although we work with all of the industry's leading brands, there are some that we find to be superior to others in various ways. The Genie brand is one of the most reliable ones out there, because of the excellent quality of its garage door opener models and their technologically advanced features. We have been working with this manufacturer for a very long time, and have found their products to be entirely reliable and well worth investing in. They constantly create hi-tech models that make them stand out from other brands. The consistency of their high-quality manufacturing results and the availability of replacement parts are a couple of the different reasons why their products are a great choice for many residential garage doors. Genie is a very well established brand that has created different kinds of garage door openers for residential and commercial use. 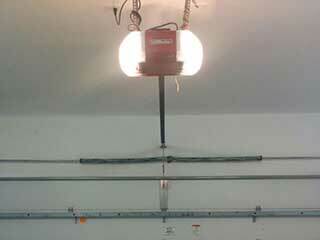 Of course, all of their different models use either a screw, a chain or a belt drive garage door opener. A lot of their products offer the option of integrating a backup battery for emergency purposes, including the TriloG and IntelliG series. These models are extremely durable and can be relied on to last for a very long time. They are also very fast, and a lot of them offer a very minimal noise output. Apart from the aforementioned feature, Genie garage door opener models offer more technologically advanced enhancements. They have units that use motion detection lighting that can be very important for personal security. They also offer WiFi connectivity, which can allow you to use your very own smartphone to operate your opener, and consequently, your garage door. Of course, when it comes to actually decide on the right opener model for you, things can get complicated, as there are all sorts of things that you will need to consider. We recommend that you give our experts at Garage Door Repair New Rochelle a call and let us answer any questions you may have.